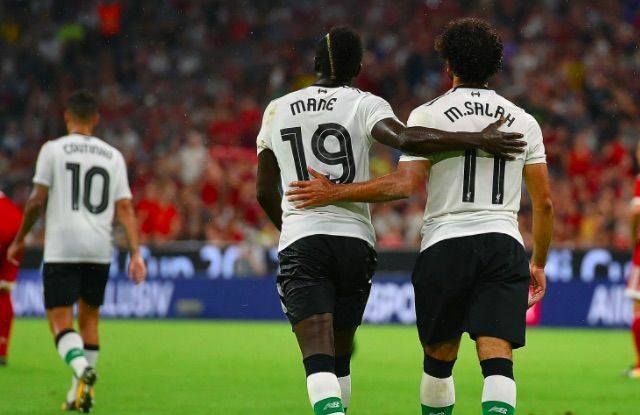 Mo Salah and Sadio Mane will continue on holiday for the next few weeks, before joining up with Liverpool on the pre-season tour of America. The duo were knocked out in the World Cup Group Stages with Egypt and Senegal respectively, which although disappointing for the players, is positive for Liverpool. It means they’ll have more time on the training ground with Jurgen Klopp and the fitness staff, who will do their all to get them in peak condition before the campaign begins in August. “They come back before the tour to America – the 20th, I think. They had then three [weeks] plus one, two, three days’ holiday. That’s what you need to have,” Klopp told Liverpoolfc.com. “We are in July, we started the pre-season last year in July, so for 12 months these boys have had three weeks off. That’s quite intense and now the next 11 or 12 months are waiting for them! “That’s what we try to give all of them, then they will be involved and then we have to see. Of course, they then have to do a lot of fitness work in the USA and we will see when they can play or whatever. But that they are back will be really good. “Naturally fit – yes, they are, that’s true! Unfortunately, the body is ready to rest and that’s good, but then you need to adapt to the football,” the manager continued. “Three weeks is not a long holiday and they don’t start at the same point as the boys have started now after five-and-a-half weeks. It will go quick, but we will see how they come back. Jordan Henderson, Trent Alexander-Arnold, Dejan Lovren and Roberto Firmino will be off for a longer period of time, however. England, Brazil and Croatia are still competing in Russia, but all three could have exited by Sunday if their quarterfinals go badly. From the day their nations leave Russia, the players will have three weeks off before joining up with the team, so if they reach the final, they’ll have basically zero pre-season before 2018/19 and will have to get fit ‘on the job’. For this reason, it’s important that we’ll soon have Mane and Salah involved.